'He was a bony bore, and stayed on and on.' Thus Kate, daughter of Charles Dickens, in 1857, and thus the problem confronting anyone attempting a life of Andersen. His rise from abject poverty to European fame - the Ugly Duckling bit - is easy to do. It begins in near-farce, with the gawky, barely-literate country-boy convincing the gentry of Copenhagen that he has a talent that must be fostered, and it ends with novels, and, above all, the eventyr, that were the justification for it all. But after that there are the many years (and, under the guidance of Wullschlager, the many pages) of bony boredom. He should not be denied his natural pride in fulfilling a destiny that only he had really believed in, but his self-obsession, his hypochondria, his sponging, and his delight in getting orders of chivalry from the crowned heads of Europe does not make for thrilling reading. The problem has been a staple one for English biographers of Andersen ever since R. Nisbet Bain published his excellent monograph in 1895. His successors have mostly updated facts in the light of new information and have then sought some angle to make their work distinctive. 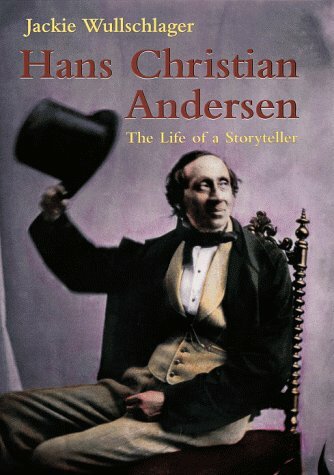 Wullschlager goes for a steady, step-by-step account of the life, paying due attention to the manifold Danish sources, not least Andersen's journals and correspondence, and her personal contribution consists of ruminations on the dear man's psychology. Danish scholars, she notes, have mostly been wary about speculating on his repressions and his bisexuality, as also dwelling on all those little crosses in his diaries. She does a workmanlike job, and the writer's writings - which are surely our sole interest in reading about him - are summarized and linked, where feasible, to perceived swings in his temperament. That critical method tends towards the mechanical and readers of BfK may well regret that Wullschlager does not give a more systematic assessment of the eventyr, their place in children's literature, and, especially, the chequered history of their translation and publishing in Britain and the USA. Her grasp of children's literature from the time of their publication onwards is shaky (symbolised perhaps in her spelling in several references to William Wentmore Story and Ernest Shepherd, and her not noting that Hansel and Gretel's soppy Sandman comes from Humperdinck, not Grimm). She does however make some acute comments on the eventyr as stories for telling and as invented folktales and it is a pity she did not explore such things more deeply, leaving the travelling tuft-hunter to look after himself.